The number of places across the leading corporate firms has risen by 0.5%, Legal Cheek can reveal. This slither of positivity comes as City players release their graduate recruitment targets for 2018-19 window. 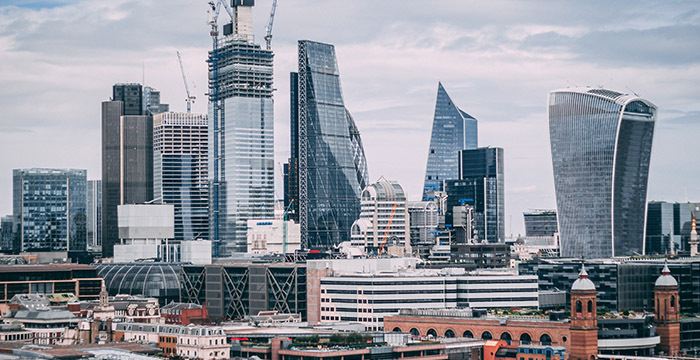 The data, compiled as part of Legal Cheek’s 2019 Firms Most List, shows training contract places have risen from 2,024 to 2,035 across the major 70 UK-based corporate firms, a marginal uplift of 11 training contracts. There were some notable risers, and fallers, as detailed in the tables below. In the wake of the economic turmoil brought by the collapse of Lehman Brothers over ten years ago, law firms across the UK dramatically slashed their training contract numbers as growth stagnated. Now, as growth gradually returns to the economy, a number of firms have made a graduate recruitment comeback. Clifford Chance was this year’s big riser. Five of its additional 15 spots come in the form of magic circle player’s new lawtech trainee solicitor scheme, while the other ten are conventional training contract places. One thing worth noting is that A&O has not provided an exact TC figure (it says between 80 to 90 in London) and so may not take its full 2021 quota. Sharp increases in law firms’ profitability figures may go some way to explain the bump in TC numbers. Addleshaw Goddard‘s new numbers come off the back of a stellar set of financials. Following the 2017 merger with Scottish practice HBJ Gateley, global revenue at Addleshaws jumped up by nearly a quarter and profits have surged 36%. Dentons’ (the largest law firm by lawyer headcount) figure also follows a 2017 summer tie-up with Scottish four-office outfit Maclay Murray & Spens. Slaughter and May doesn’t go public with its financials, but this year’s trainee recruitment target indicates that it has been a healthy year. While TC numbers increased at three out of five magic circle law firms, they fell at Linklaters. The global behemoth, however, appears to be somewhat of an outlier. It remains the largest training contract provider in the UK with a whopping 100 places up for grabs each year. Elsewhere, training contract numbers at the vast majority of firms on the Most List remain steady — a stark contrast to last year’s decline of 5%. On that occasion, the number of training contract places fell by over 100 from 2,147 to 2,036 across the leading corporate law firms. Today’s result will come as welcome news for wannabe lawyers. It reflects wider UK legal market trends that have seen training contract numbers rise to their highest level since before the 2008 financial crisis. According to the Law Society’s annual statistical report published last June, total training contract numbers across all firms in England and Wales jumped from 5,457 to 5,728 in 2015-16. The 2016-17 figure of 5,719 shows that numbers have remained static. Overall, training contract places are still significantly down from the pre-crash high of 6,303 over a decade ago. Vote Corbyn to raise taxes on wealthy moneylawyers! Redistribute city greed to legal aid! FOR THE MANY, NOT THE FEW!!!! Agree the Corbyn idiot is not funny at all. On a serious note, LC, would like to see an article comparing the number of TC’s and retained NQ’s contrasted with numbers of qualifying Cilex at each firm. Likely to be more of a trend in the silver circle and mid-tier firms but nonetheless could be of interest to others on here considering alternative routes to qualification. haha. That would involve actual work and journalism! Well, it is a good firm but hardly a “US” firm in terms of prestige (and equally) of pay. On the bright side, they should not push you too hard and you should mostly be out of the door well before 7pm. You will not be living the “M&A Lawyer” life, that’s for sure. What’s the point in going anywhere if you don’t have prestige? Where do you work mate, CMS? Yeah clearly has a chip on his shoulder because he’s not at an Atlanta top shop. What are you going on about mate? Funny that Womble Bond Dickinson has decreased training contract numbers. Not as if legacy Womble had its own trainees in London to make an oversized trainee population. The only funny thing about Womble Bond Dickinson is their name. Why are so few US firms missing from the Legal Cheek most list? As somebody currently applying for training contracts at firms like Fried Frank, Pillsbury Winthrop, Wilmer Hale and Proskauer Rose, it is not particularly useful to know what firms such as Ince & Co and Bevan Brittan are offering. You do realise that neither Pillbury nor WilmerHale offer Training Contracts right? Oh and Proskauer doesn’t either. Sometimes they do off-market/cycle. In any event there are loads of US firms which do (e.g. King & Spalding) who are not included. With 100s of candidates targeting these firms it makes no sense. Wilmer do not take trainees, even “off cycle”. Wading in here but a bunch of firms do – without advertising – places like Cadwalader. The most list is clearly missing dozens of elite US firms which graduates are now targeting in the 100s/1000s. Places of the ilk of Wilmer Hale. Others include Winston & Strawn etc. Lol. You make it sound like graduates are in a position to be selective. People don’t ‘target’ these firms, they apply and hope. It’s common knowledge the firms you mention pay very well – six figures at NQ – so what does it really matter if the the exact numbers aren’t in the public domain? You are still going to apply and snap their hand off if they take you. They take plenty of arbitration ‘interns’ though, for who sweat out 18 hour days endlessly proofreading for ~£450/pw, in hope of catching a glimpse of Emperor Born. Makes me wish LC did an article on all the firms who take on these disputes interns (aka slave labour). It would make for a sobering read.